The fall of the Berlin Wall in 1989 signalled a major change for Central and Eastern European (CEE) countries. Despite the significant benefits gained with the ‘return to Europe’, CEE countries have also been faced with large challenges (Gentile, Tammaru, & van Kempen, 2012; Kornai, 2006; Kovács, 1999; Shleifer & Treisman, 2014). They had to transform their political and economic systems and find new ways to establish themselves in the context of increasing globalization, liberalization and technological progress. This has led to rapid and significant changes in their socio-spatial organization (Brade, Herfert, & Wiest, 2009; Gentile et al., 2012; Lang, 2011; Lang, Henn, Sgibnev, & Ehrlich, 2015; Schmidt, Fina, & Siedentop, 2015; Smith & Timár, 2010). According to Stanilov (2007), due to the very rapid pace of change, the recent socio-spatial developments in CEE countries can be seen as a perfect ‘laboratory for observation’. The most significant development trends in the post-socialist countries are population decline and increasing spatial inequalities that started soon after the reforms. Of all the post-socialist countries, it is Lithuania that stands out the most, experiencing an extreme drop in population (Eurostat, 2017; United Nations, 2015). Since the 1990s, it has lost more than 20 percent of the population, which makes it one of the world’s fastest shrinking countries. Furthermore, in Lithuania in the socialist period, planning policy focused on decentralisation and sought to limit the growth of the major cities (Enyedi, 1998; Šešelgis, 1996; Vanagas, Krišjane, Noorkoiv, & Staniūnas, 2002). Now most of the economic growth and demographic potential is concentrated in a few metropolitan regions, particularly in Vilnius (Burneika & Ubareviciene, 2015; Cirtautas, 2013; Krupickaitė, 2014; Ubarevičienė & Burneika, 2015; Ubarevičienė, Burneika, & Kriaučiūnas, 2011). Extreme population decline and uneven spatial development can be seen as a threat to the economic and social stability of Lithuania. Despite the fact that significant socio-spatial transformations have been occurring for three decades in Lithuania, they have only recently started to attract greater attention. However, many issues related to socio-spatial development still receive little attention in the scientific and political domains. The aim of this thesis is to gain more insight into the recent socio-spatial transformation processes and their consequences in Lithuania. This thesis investigates the main features and drivers of socio-spatial change. It shows why we should be concerned, despite the growing economy and improvements in the standard of living, as Lithuania is facing major challenges related to extreme population decline and increasing socio-spatial inequality. The results of this study provide a better understanding of the development processes and reveal how the Soviet-designed socio-spatial structures adapted to a market economy environment. This thesis contributes to the existing literature by investigating population decline, migration patterns, processes of segregation and increasing regional inequalities. While the focus is on Lithuania, the results of this study are also of value for other CEE countries, many of which have experienced similar trajectories of change during recent decades. This thesis focuses on four areas of social-spatial change: population decline, shifting residential patterns, social segregation and increasing regional inequalities. These processes characterised Lithuania in the recent decades. Firstly, due to its exceptional geopolitical situation (the experience of a shift from the Soviet Union to the EU) and, secondly, due to the specific legacy of Soviet planning policy. The fall of the Berlin Wall in 1989 signalled a major change for Europe, especially for Central and Eastern European (CEE) countries1 (Gentile, Tammaru, & van Kempen, 2012; Kornai, 2006; Kovács, 1999; Shleifer & Treisman, 2014). From a Soviet-type communism2 with centrally planned economies, CEE countries suddenly shifted to a capitalist system with market-led economies. Almost overnight the political and economic systems completely changed. This shift had a major effect on population developments in these countries. All of them experienced a drop in fertility rates, mass emigration and an increase in regional inequalities. Of all the post-socialist countries, it is Lithuania that stands out the most, experiencing an extreme drop in population (Eurostat, 2017; United Nations, 2015).3 Since the 1990s, Lithuania has lost more than 20 percent of its population, which makes it one of the world’s fastest shrinking countries. From a historical point of view, an extreme population decline seems contradictory in Lithuania. For several decades the citizens of Lithuania had passionately sought a new sovereignty that would bring independent and democratic development to the country. This goal was finally achieved in 1990. In general, independence was a success and an accomplishment that led to a new economic and constitutional order (Burneika, 2012; Kornai, 2006; Leyk, 2016; Stanilov, 2007). However, the opening of the borders to the West and the free flow of capital and labour (especially after integration into the EU), meant that many people decided to leave Lithuania to look for better opportunities (mostly economic) abroad (Klüsener, Stankūnienė, Grigoriev, & Jasilionis, 2015; Sipavičienė & Stankūnienė, 2011; The Economist, 2017). Many of them thought to be leaving temporarily, but stayed and never returned. The reasons behind the choice to emigrate are quite obvious: although GDP per capita levels are similar among CEE countries (The World Bank, 2017b), Lithuania is distinguished in having one of the lowest wages, pensions and social spending rates, as well as a high degree of social inequality (Aidukaitė, 2011, 2014). Furthermore, population decline is accelerating even though the economy of the country is growing and standards of living are improving. While the processes taking place on the national level are quite well recognised in Lithuania, little is known about how macro-level changes are affecting different spaces and groups in society. Sharp population decline has been accompanied by an increase in regional inequalities and levels of segregation. These processes are strongly linked with Soviet spatial planning principles (see e.g. Clayton & Richardson, 1989; Demko & Regulska, 1987) that were more extensively adopted in Lithuania than in other CEE countries. For several decades, planning policy in Lithuania favoured the organised distribution of the population and economic activities (Šešelgis, 1996; Vanagas, Krišjane, Noorkoiv, & Staniūnas, 2002). As a result, a quite uniform – spatially and socially – society was created. In 1990, the moment market forces came into play, major changes in the socio-spatial fabric began to occur and the distribution of the population started to change, having major spatial and social consequences. For example, economic restructuring led to a spatial mismatch between the distribution of labour and available jobs; although residential patterns started to change, the network of public amenities remained almost unaffected (until now). The general feature of this process was that, economically and demographically, socio-spatial disparities started to increase within the country, with the larger urban regions becoming the ‘winners’ and the peripheral rural regions the ‘losers’ in this transformation process. Vilnius, whose development was suppressed in Soviet times, began growing extensively after 1990 through the process of suburbanisation. The process was similar to but much quicker than what had occurred in Western countries two decades earlier (from the 1970s onwards). In Lithuania, this led to increasing regional inequalities, which was inhibited to some degree by the socialist system, but now, the market-led system left regions much more exposed. Despite the fact that these recent socio-spatial changes continue to take place at an unusually high speed, these processes have received very little scientific attention. The aim of this thesis is to gain more insight into these socio-spatial transformation processes and their consequences in Lithuania. The thesis investigates the main features and drivers of socio-spatial change in post-socialist Lithuania. The results of the research will provide a better understanding of the development processes and will reveal how the Sovietdesigned socio-spatial structures adapted to a market economy environment. The results of this thesis will also show why we should be concerned, despite the growing economy and improvements in the standard of living, as Lithuania is facing major challenges related to extreme population decline and increasing socio-spatial inequality. Until recently, doing socio-spatial research on Lithuania was a major challenge due to very limited data availability. One of the achievements of this thesis was to gain access to more detailed statistical data. As a result, this thesis is the first research project to use individual-level geo-coded Lithuanian census data for the whole population. The rest of this introductory chapter is structured as follows. Section 1.2 provides the background, presenting a historical overview and explaining the specific setting of Lithuania, also offering information about the general macro-level changes that took place in the socialist and post-socialist periods. This background information is crucial to an understanding of the more recent socio-spatial changes and processes behind them. Section 1.3 offers a more focused discussion of the literature on population decline, migration, suburbanisation, segregation and increasing regional inequalities. It provides a literature review concerning the processes that are both typical to Lithuania but also shared with many other countries. This section aims to demonstrate that the Soviet legacy formed specific conditions for rapid and profound socio-spatial change in Lithuania. In Section 1.4, the gaps in current knowledge are identified, and the aim and research questions of the thesis are presented. Finally, Section 1.5 outlines the data that were used in the empirical chapters. Apart from this introduction, the thesis consists of five empirical chapters and a conclusion. Shrinking populations have been gaining increasing attention, especially in postsocialist East and Central European countries. While most studies focus on specific cities and regions, much less is known about the spatial dimension of population decline on the national level and the local factors determining spatially uneven population change. This study uses Lithuanian census data from the years 2001 and 2011 to get insight into the geography of population change for the whole country. Lithuania has experienced one of the highest rates of population decline in the world in the last decades. The predictive models show that regional factors have a strong effect on the variation in population change throughout the country but also reveal that sociodemographic and economic area characteristics play a role in the process of decline. Our results give little hope to those who would like to reverse the ongoing trends of population change and emphasize the need for spatial planning to cope with the changes. This is an approach which currently does not exist in practice in Lithuania. Since the 1990s, Lithuania lost almost one-quarter of its population, and some regions within the country lost more than 50% of their residents. Such a sharp population decline poses major challenges to politicians, policy-makers and planners. The aim of this study is to obtain more insight into the recent processes of socio-spatial change and the role of selective migration in Lithuania. The main focus is on understanding who lives in those regions which are rapidly losing population, and who is most likely to leave these regions. This is one of the first studies to use individual-level Lithuanian census data from 2001 and 2011. We found that low socio-economic status residents and older residents dominate the population of shrinking regions, and unsurprisingly that the most ‘successful’ people are the most likely to leave such regions. This process of selective migration reinforces the negative downward spiral of declining regions. As a result, socio-spatial polarization is growing within the country, where people with higher socio-economic status are increasingly overrepresented in the largest city-regions, while the elderly and residents with a lower socio-economic status are overrepresented in declining rural regions. This paper provides empirical evidence of selective migration and increasing regional disparities in Lithuania. While the sociospatial changes are obvious in Lithuania, there is no clear strategy on how to cope with extreme population decline and increasing regional inequalities within the country. We use electoral data to analyze the ethno-political consequences that may arise from the fact that the region surrounding the city of Vilnius is dominated by residents with a Polish identity, while those who move to the suburbs are mainly ethnic Lithuanians. In the suburban ring we found increasing voting turnout, a decreasing share of votes for the Polish party, and an increase of the absolute number of votes for this party. The changing electoral behavior might be an indicator of growing ethno-political tensions and the zones of the most intense changes identify areas of potential social tensions between ethnic groups. The city of Vilnius has experienced major shifts in occupational structure between 2001 and 2011 and at the same time there were major transitions in the housing market and suburbanization. The main aim of this chapter is to get more insight in recent socio-economic segregation processes in Vilnius. We used occupational groups as a proxy for socio-economic status, and census tract level data to measure segregation in Vilnius and its three main housing zones during 2001 and 2011. Notwithstanding the major economic and social changes of post-communist society, we found low levels of segregation and modest change during the last decade. Local patterns of segregation were explored using location quotient maps. The analyses illustrated a deepening social divide in the city between the relatively rich north and the poorer south of the city, but the inner city changes are somehow ambiguous. In this chapter we argue that the main factors of socio-spatial change in Vilnius are related to an exceptionally high share of housing estates in the city and the polycentric urban system of the country. Together with 'fast-track' reforms after 1990 this urban system gave a unique character to the current processes and patterns of segregation. One of the specific features of many post-Soviet cities is their multi-ethnic structure, which was strongly influenced by internal migrations within the Soviet Union. Political and economic reforms in the 1990s led to changes in ethnic composition, and the attention given to the processes of ethnic-segregation has started to increase. While most studies focus on capital cities, much less is known about second-tier cities. This article examines the interrelationships between ethnic and social segregation in the metropolitan areas of Lithuania (Vilnius, Kaunas, Klaipėda). The authors use Lithuanian census data from the years 2001 and 2011 to obtain insight into the recent changes in the socio-spatial differentiation of the largest ethnic groups: Lithuanians, Poles, and Russians. The results show a clear relationship between the socio-economic and ethnic status of the residents of metropolitan areas and, therefore, suggest that ethnic segregation is strongly linked to the general processes of social segregation. The findings also show that the higher the proportion of a certain ethnic minority group in an area, the higher the proportion of lower (social) status residents in this group. In addition, in such cases, ethnic minorities often tend to concentrate in particular areas within the cities. Almost thirty years ago, Lithuania became independent from the communist Soviet regime. This resulted in large social, economic, demographic and political changes. In addition to the substantial benefits that were brought by the restoration of independence and the ‘return to Europe’ (Kornai, 2006), major macro-level changes also resulted in extreme population decline. The geopolitical and economic position of Lithuania completely changed: from a relatively affluent and prosperous region in the Soviet Union, it became a relatively poor country on the periphery of the European Union. In parallel, from the receiver of large inflows of immigrants from other Soviet Republics, it started to lose its population due to large-scale out-migration to Western European countries. Today, Lithuania has one of the fastest shrinking populations in the world. Since the 2000s, the average annual population decline has been -1.2 percent (Statistics Lithuania, 2017). As this thesis has shown, population decline, where the main factor is out-migration, has been accompanied by changing residential patterns and increasing socio-spatial inequalities throughout the country. –– What are the main features and drivers of socio-spatial change in post-socialist Lithuania? –– Why, despite the growing economy and improvements in the standard of living, is Lithuania facing major challenges related to extreme population decline and increasing socio-spatial inequalities? ‘Lithuania Disappearing’, ‘Lithuania does not stop its decline’, ‘The threat of emigration’, ‘The forecast is bleak’ – such headlines have appeared on the front pages of the Lithuanian media almost daily in recent years. The focus of this thesis was not on the population decline per se, but on the social and spatial consequences that are related to this extreme decline. This thesis has highlighted some of the most problematic trends in socio-spatial development. Its main focus was on four interdependent areas of socio-spatial change: population decline, shifting residential patterns, processes of segregation and spatial inequalities. The emphasis was on the spatial dimensions of these processes. The thesis described the trajectories of the recent socio-spatial developments and examined why the scale and impact of the population change is exceptionally high in Lithuania. The thesis also showed how the Soviet-designed socio-spatial structures in Lithuania have adapted to the market economy environment. This study contributes to the existing literature by integrating the key processes of population decline, migration and segregation, which have been taking place in a rapidly changing post-socialist context. While the focus was on Lithuania, the results of this study will also be of value for other CEE countries, many of which have experienced similar trajectories of change during recent decades. The dissertation included five empirical chapters, with each chapter presenting different aspects of socio-spatial change and addressing specific research questions. Chapters 2 and 3 focused on the country as a whole. These chapters analysed the geographical patterns of population decline and the role of selective migration on population redistribution and growing socio-spatial inequalities. 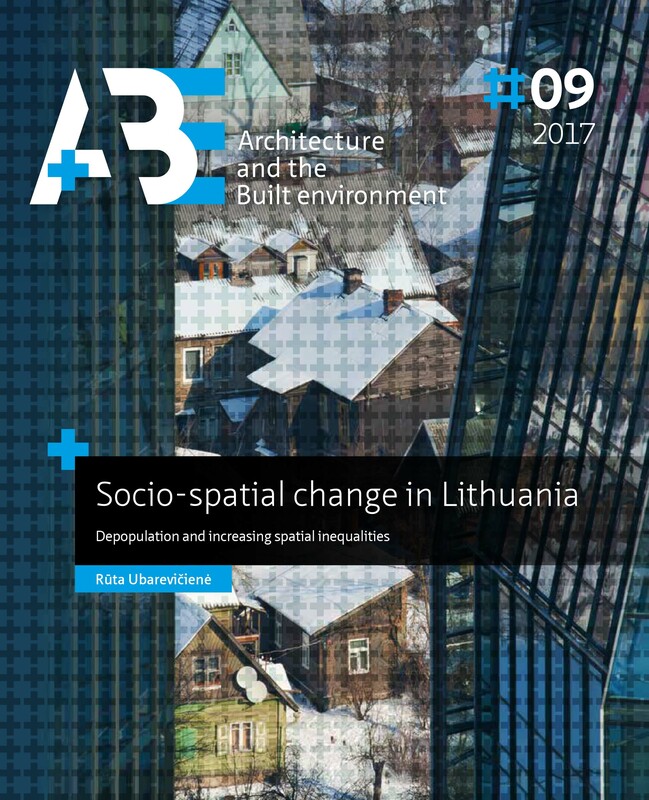 Chapters 4, 5 and 6 focused on areas where the socio-spatial transformations have been the most intense – the metropolitan regions and, in particular, the Vilnius metropolitan region. These chapters contribute to the limited knowledge concerning the processes of ethnic and socioeconomic segregation in Lithuania. These are also the first studies analysing how the levels of segregation have changed over time in Lithuania. The remainder of this concluding chapter is structured as follows. Firstly, the main findings of the five empirical chapters are summarised. Section 7.3 then presents an overall reflection and discussion of the research findings. In Section 7.4, the limitations of the thesis are discussed and, finally, Section 7.5 sketches some directions for further research.